Hiking to "El mejor banco del mundo"
If you're already stressed by the city life and need some peace and nature, this is your lucky day! 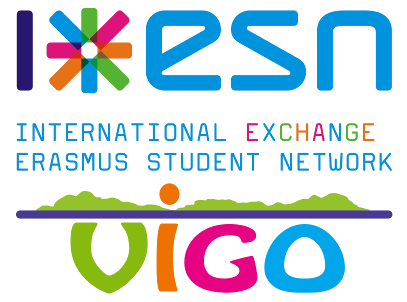 ESN Vigo invites you to join us on a hiking route on Sunday, 3rd February. We'll visit “El mejor banco del mundo”, a lookout from where you'll be able to enjoy a beautiful view of Vigo’s bay. The ascent is not difficult and it will take approximately 45 minutes to get to the top. The meeting point is Plaza España (at the intersection with Calle Pizarro) at 11:50 a.m. and we’ll get from there to the bus stop. You must be on time since we have to catch a bus and it will not wait for us. Also since it's a Sunday there won't be as many buses as during the week. Once we get to the top, you'll have time to enjoy the view, take some photos and eat something (remember to bring your own food). In the late evening we'll take the return bus. We recommend you to wear comfortable shoes and warm clothes since it can be windy on the top, and also to bring your own drinks and food as well as sunscreen.